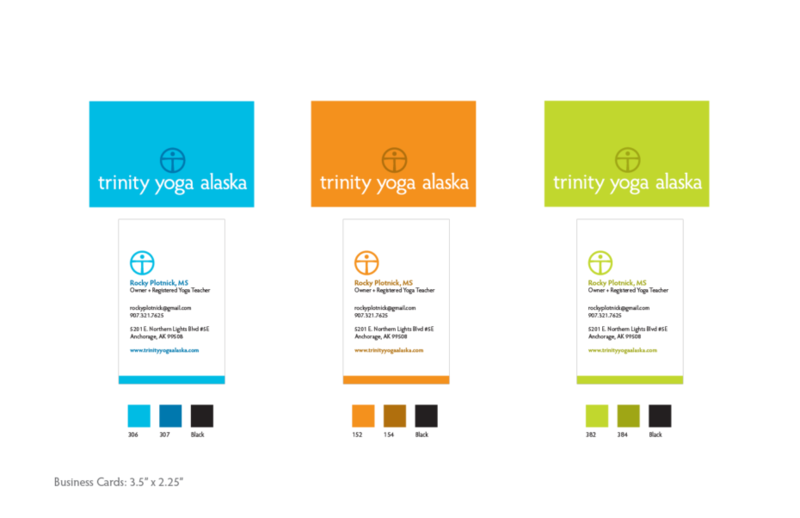 Trinity Yoga Alaska brand identity - Red Carrot Design, Inc.
Trinity Yoga Alaska is an independent yoga instructor in Anchorage, Alaska. 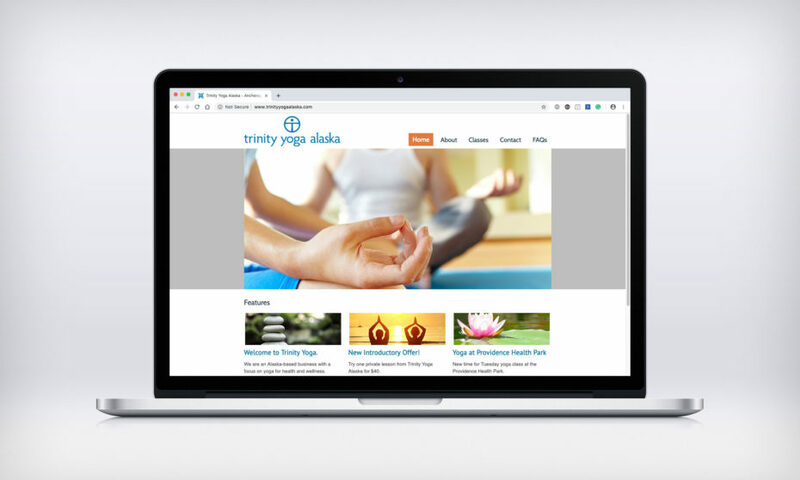 Our Solution: Created a brand identity and website for Rochelle (Rocky) Plotnick, a Registered Yoga Teacher (RYT) and owner of a new business called Trinity Yoga Alaska. 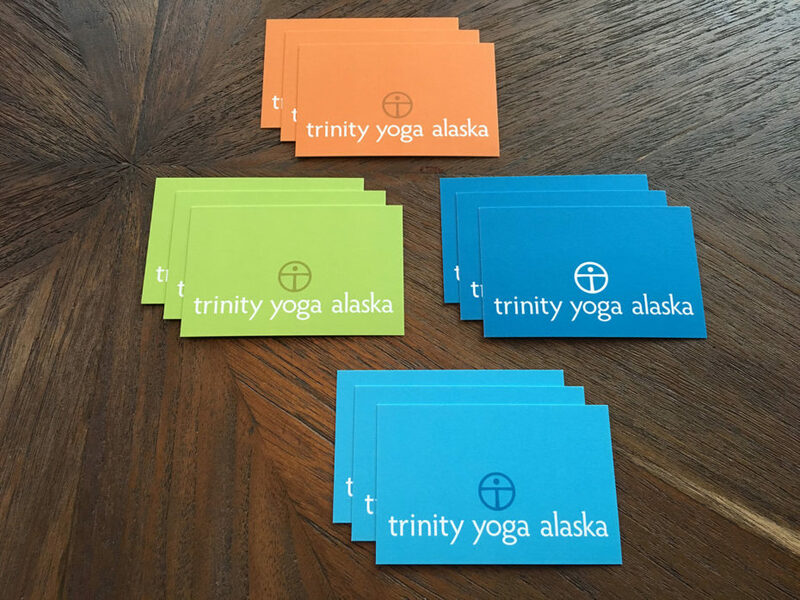 Rocky will teach private yoga sessions to individuals, couples and small groups in Anchorage. 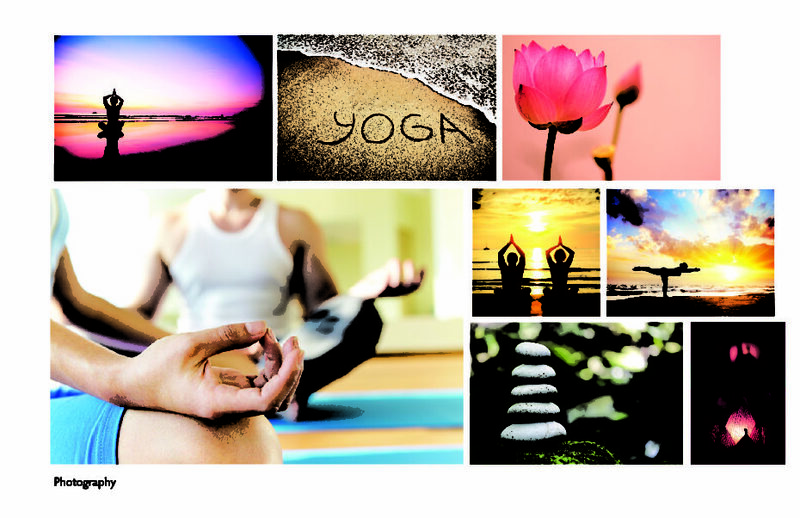 Her classes will be based on the Hatha yoga principals and emphasize gentle yoga wellness for the mind, body, and spirit. Red Carrot Design, Inc. (“us”, “we”, or “our”) operates the redcarrotdesign.com website (the “Website”). This page informs you of our policies regarding the collection, use and disclosure of Personal Information when you use our Website. While using our Website, we may ask you to provide us with certain personally identifiable information that can be used to contact or identify you. Personally identifiable information may include, but is not limited to, your name, phone number, postal address and other information (“Personal Information”). We collect information that your browser sends whenever you visit our Website (“Log Data”). This Log Data may include information such as your computer’s Internet Protocol (“IP”) address, browser type, browser version, the pages of our Service that you visit, the time and date of your visit, the time spent on those pages and other statistics. We use “cookies” to collect information. You can instruct your browser to refuse all cookies or to indicate when a cookie is being sent. However, if you do not accept cookies, you may not be able to use some portions of our Website. We may employ third party companies and individuals to host our Website, to monitor and secure our Website on our behalf, to perform Website-related services or to assist us in analyzing how our Website is used. Our Website does not address anyone under the age of 13 (“Children”).